website address is: www. thecrystaltheatre. org email link is info@thecrystaltheatre. org I am currently a comanager of Crystal Theatre and can also submit some current photos. I will send them to the email address as listed above. 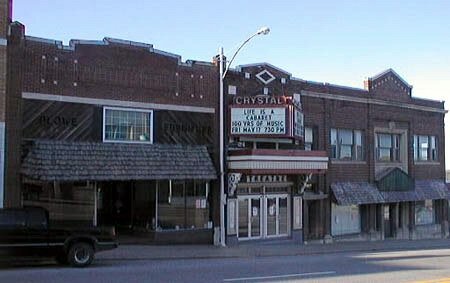 Crystal Theatre is now on the web at http://www. thecrystaltheatre. org. 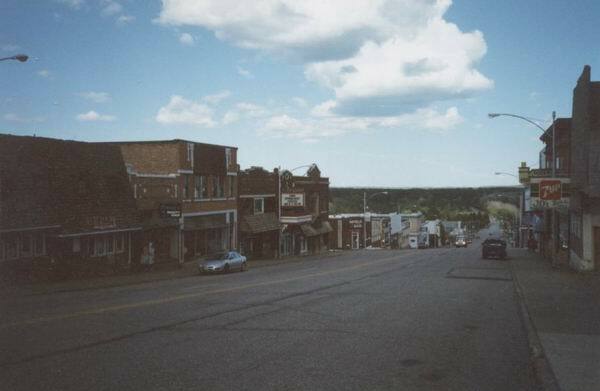 The EJAY Theatre, located in Crystal Falls, is a two-story, red brick, commercial style, limestone-trimmed building topped by a limestone-tipped gabled parapets. Square limestone-tipped brick pilasters flank a second-story semi-round arch, and is surmounted by a second story limestone beltcourse frieze. 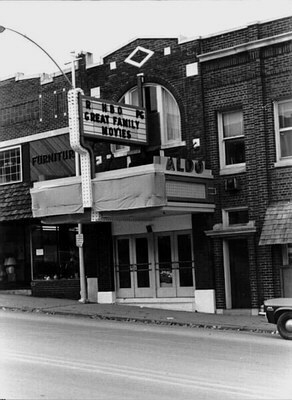 A first story marquee, a white-painted wooden theatre entrance and the shingled first-story alterations date from the 1950s. 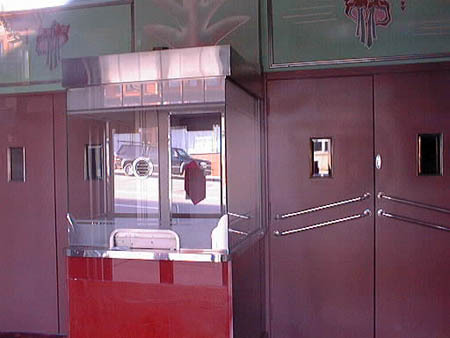 The theatre interior, decorated in Art Deco murals, contains an auditorium and a balcony, walls decorated with 1920s Art Deco murals, and has a seating capacity of 820. Statement of Significance The EJAY Theatre is the lone surviving cinema of one half dozen theatres in Crystal Falls built in the heyday of the 1920s. 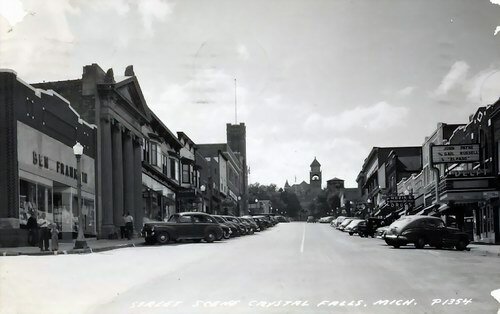 Emmet Markly of Manistique won the building contract. William Wuertz, a theatre decorator from Milwaukee, executed the Art Deco style murals. 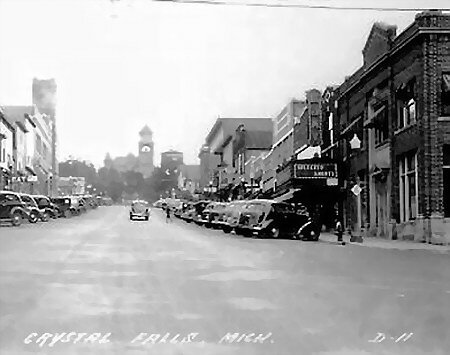 It is also the second oldest assembly hall in the City of Crystal Falls. On May 30, 1927, the EJAY Theatre opened with pomp and flourish, featuring a newsreel on Lindberghs recent Paris flight, a roaring comedy and the motion picture Senorita with Beebe Daniels. 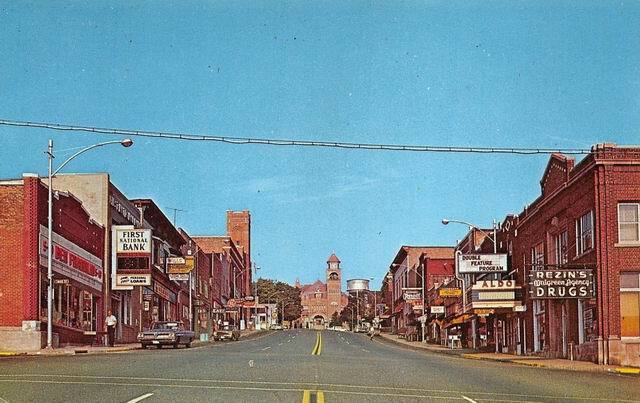 The EJAY Theatre ran its last picture show in 1980, and is currently vacant. 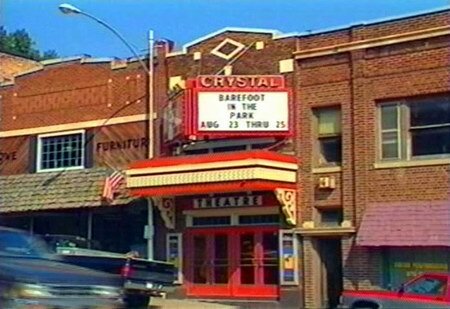 Crystal Theatre is the lone survivor of a half dozen theaters built in Crystal Falls during the heyday of 1920s cinema. 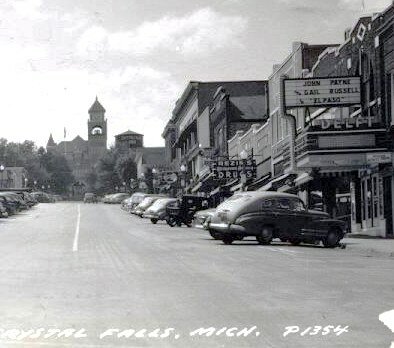 With the help of a Michigan Equity Grant by the State of Michigan, this theater is being restored as the Crystal Falls Performing Arts Center, a multi-purpose performance facility and assembly hall serving residents and visitors in a fifty mile radius of the Upper Peninsula community. The theaters revival is part of a larger program of historic preservation currently being undertaken on the sloping Superior Avenue. 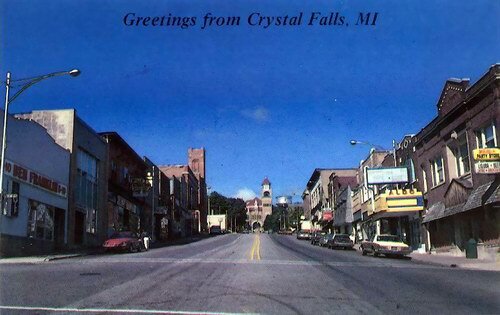 Recognizing good building design from the past and led by the Crystal Falls Arts Association, local businesses and city planners are determined to save this grand old building. The original art deco wall murals and architectural detailing have remained remarkably intact, and a 3/21 Moeller Theatre Pipe Organ has been found as a replacement for the original Wurlitzer Organ. The exisiting design and architecture will provide the point of reference for the renovation and construction of additional spaces. Additional audience amenities will include new restrooms, concessions and improvements for public safety and handicap accessibility. It is a mighty fine theater. Every detail of the building would do a much larger city credit. --Mr. Boex, installer of the original Wurlitzer Organ in the Ejay Theater, 1927.